The Tiki Torch Nazis Return To Charlottesville [VIDEO] - Joe.My.God. White nationalists briefly rallied on Saturday in Charlottesville, Virginia, where violent clashes in August led to the death of a woman who was run down by a car. 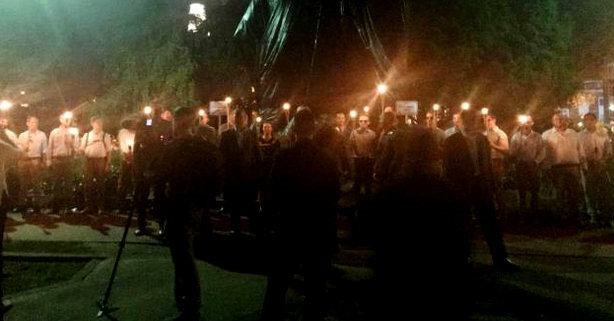 A few dozen white nationalists, led by so-called “alt-right” activist Richard Spencer and carrying torches gathered at Emancipation Park near a covered statue of Confederate general Robert E. Lee, the removal of which was blocked by a court pending the outcome of a legal challenge.